Friday is one day that I never trek, however this was a special case. 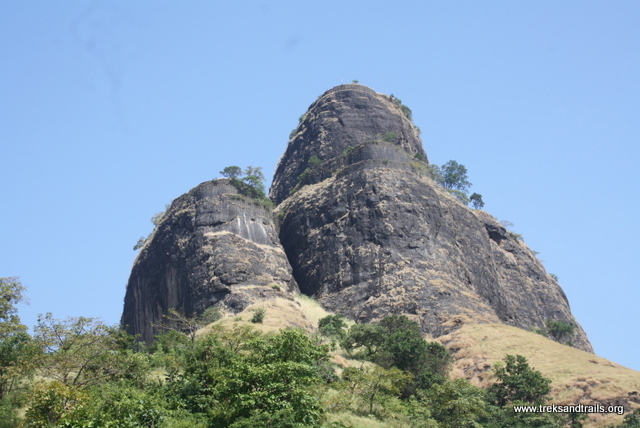 Received a call from a participant that he wanted to trek Sarasgad in Pali Near Mumbai. As once earlier this participant along with his friends had come to pay respects to Temple at the base of this village one of the Ashtavinayak in Maharashtra. However for some reason could not complete the trek. Yes Friday was my work off. On my way back in the home drop I spoke to my cab driver and he arrange for a Tata Indica non AC to Pali and back deal. The original plan was to go on a motor bike and then ride back. I know we were seeking adventure but not risky venture. Yes, staying awake all night, then trekking and riding back. So sent messages to all WhatsApp group and all surviving trekkers working if you wish to join call me. 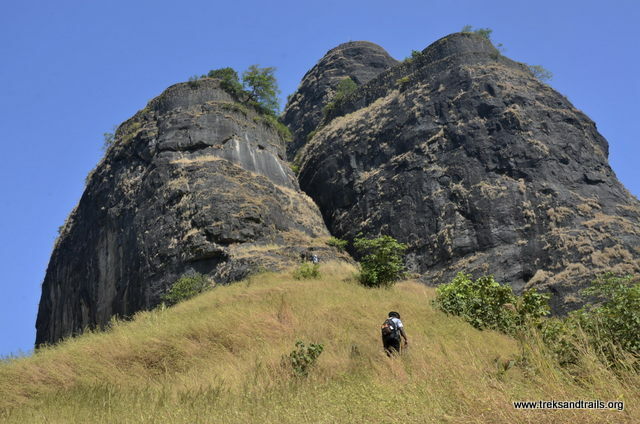 Ping and we had 2 participants for a speed climbing of Sarasgad overnight trek. This is one such trip since there was no itinerary lots could be explored and any adjustments accepted. The driver asked for permission to play some hindi numbers which I obliged. Vaibhav asked the driver if he had a cable to connect to his Android phone and play the song from his phone. So after refuelling and with the cable attached to Vaibhav phone the old hindi songs our driver was enjoying the ride even more. I was happy. The original plan was to start trekking early in the morning to beat the Summer heat. But the team was over enthusiast and did not want to wait till day break. So off we began setting the right expectation as the night was in its third quarter and the moon was on our heads. The moon that we had brought from Mumbai was pearl white had now started to gain a new yellow tint. Trek was peaceful as the summit team was small and everyone was more eager to complete the trek before dawn. We reached the plateau in no time. No halting even for breaks reached the dry water tank really very fast. The moon that came along with us from Mumbai was now orange and fast setting. As we were already early, we sat at the dry water tank and watched the moon set. The feeling was different. 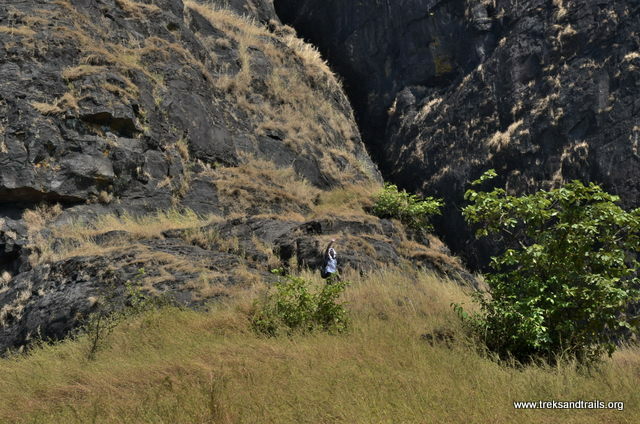 It was there all the while guiding us and decided to hide as we choose to declare our conquest on Sarasgad. Maybe some other day. Finally, at 05:00 am we were at Sarasgad Summit, and had nothing to do so we set our alarms for 06:30 am and decided to catch up with some sleep. Clicked a few photographs of the temple and a Dargah at the summit. Not many forts today would boast of a similar set up. A short power nap was the need of the hour, which ensured that that like the speed climbing so was our downhill climb. 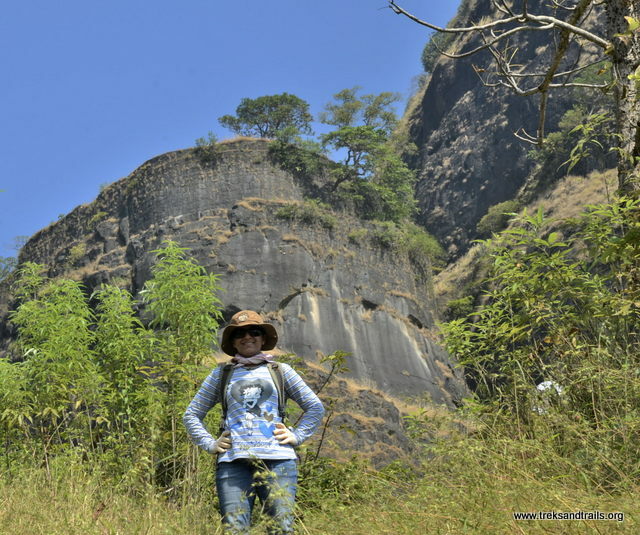 As we climbed up we did encounter the famous Sarasgad steps. As it was all dark while climbing up. We choose to add some excitement on the way down. We counted the steps back. It was 90. 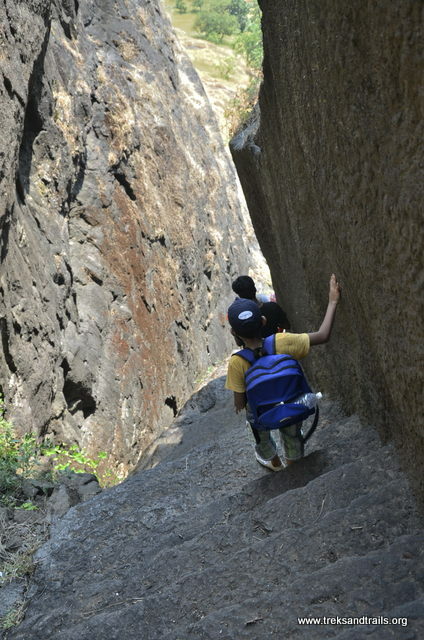 Hence the name 90 steps at Sarasgad. We reached the base village at 08:15 am. Informed our chariot master Driver that we shall leave after shortly after darshan at 08:59 am. It was a Friday morning so no rush a walk through darshan option was available. While those who wanted to take darshan did that I went about my business. There is ashram shala in this village. 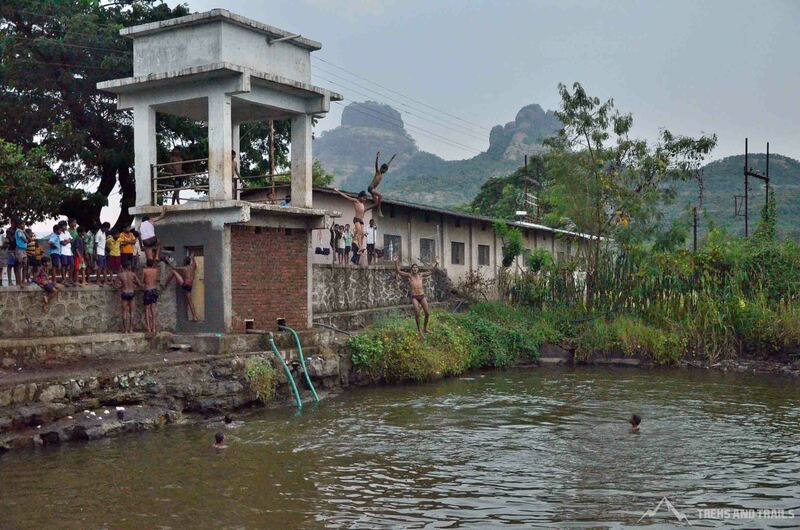 Where adivasi children stay and study in which last year we had done a free medical camp and distributed old clothes. So I had collected a small package which I had loaded in our car. 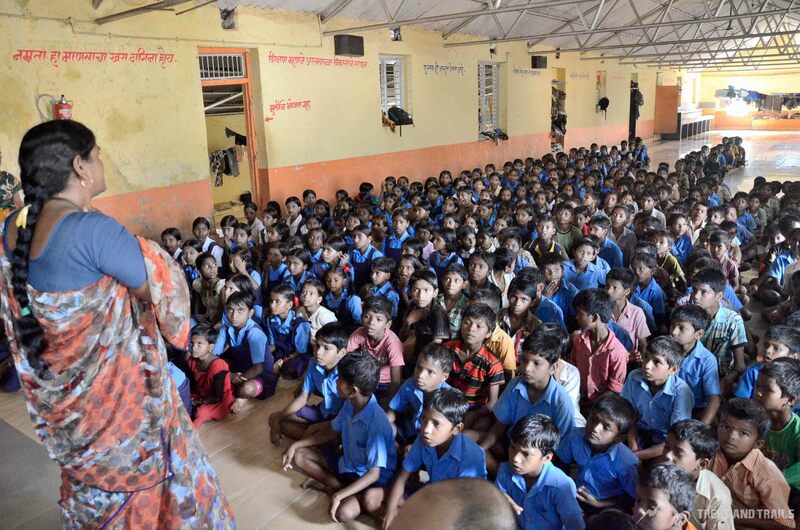 Called up the principal of the school and handed over the stuff to her to be distributed to the school kids. So trek done, social cause completed and now back to the pavilion. We had some awesome misal pav and tea for breakfast. We started our journey back to Mumbai. We all must have slept thru on our way back. Only remember the driver waking me put to pay toll and remind me saab we have reached Bandra should I drop you home. Food availability place an order with the local restaurant in Pali village, or you can carry it along with you and enjoy your meal in the midst of a wonderful panoramic view atop the fort. 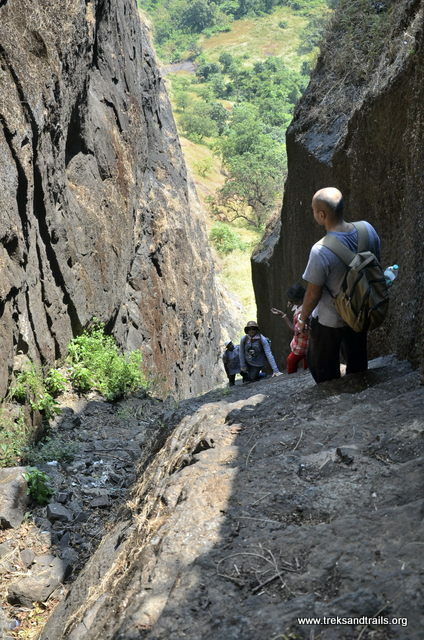 Caution: Trekkers should be aware of Honey bee attacks at Sarasgad. Please learn well in advance how to handle emergencies. 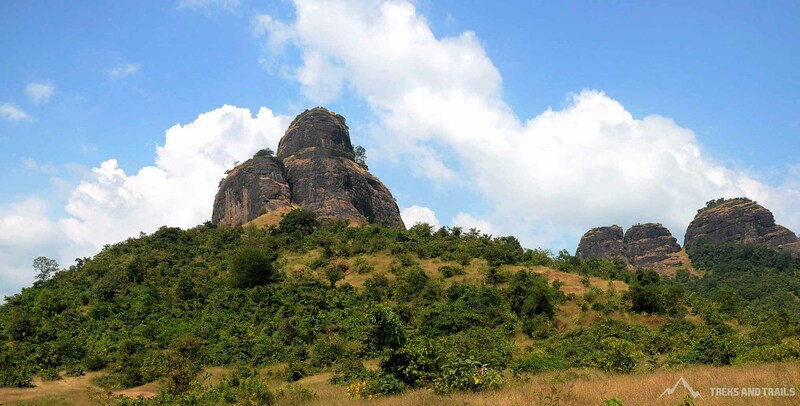 Avoid use of perfume and Deo while on this trek. No smoking especially during this trek.